Deep draft reverse tanto blade, Maori warrior motif etched into blade. Signed by Jared Wihongi himself. Well not exactly. 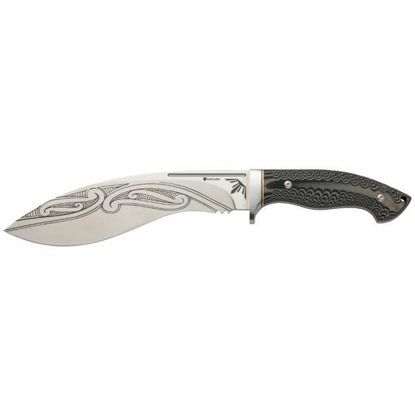 But it is his signature knife with his ideas, thinking and attitude from the finger groove handle down to the Maori warrior tribal motif. Holding this knife is like shaking the hand of Jared himself. Rare beauty. There are not many superlatives to describe this incredible Kukri style knife. This is the result of a personal project by Browning's tactical expert Jared Wihongi. And it shows. 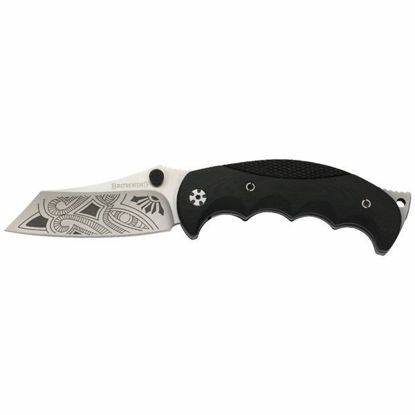 Incredible looks and function, tactical tomahawk, blade etched with Maori warrior tribal motif. Uncommonly menacing and beautiful. 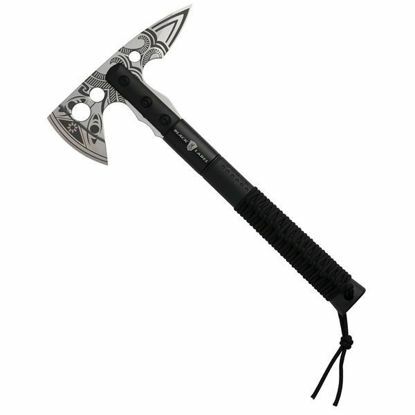 Clearly not your typical tomahawk with its spiked end and tribal motif etched blade. Handy enough to take everywhere. Prism II knives are Browning's top selling knife for a reason. 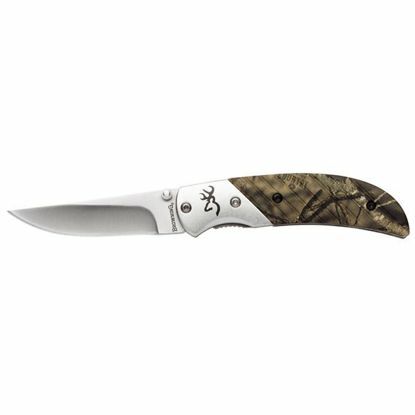 They are compact enough to take everywhere and always useful for everyday tasks that require a small sharp blade. They are also a nice way to show your Buckmark.